Sri Lankan coconut-shrimp curry- delicious, tender prawns/shrimp cooked to perfection in Sri Lankan spices and grated coconut to give extra flavor. 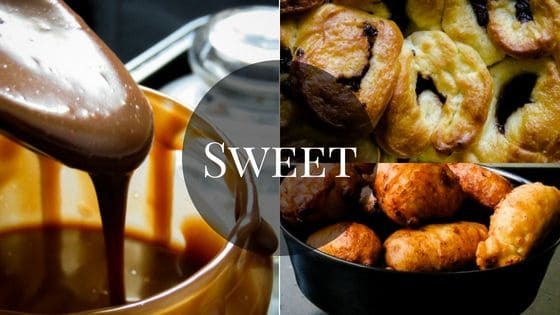 It’s an example of simple ingredients coming together to make your taste buds tingle. 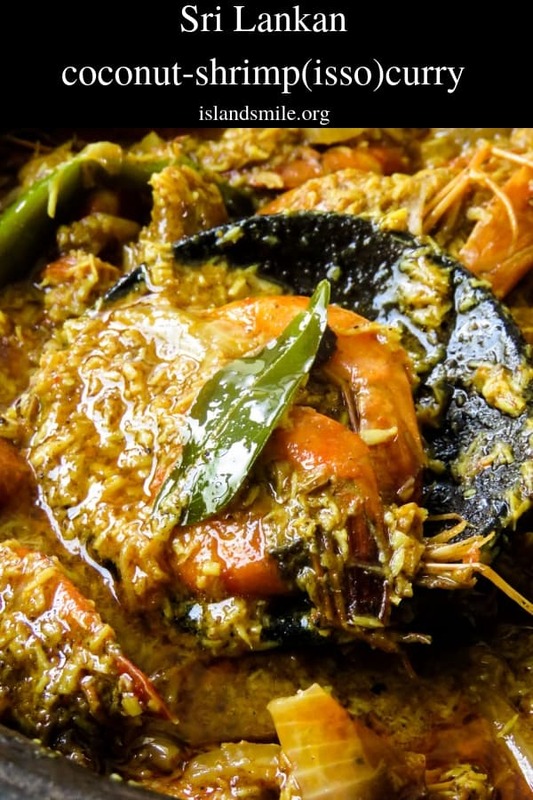 Here’s a curry which combines two favorite Sri Lankan ingredients, giving you a one of a kind seafood dish. 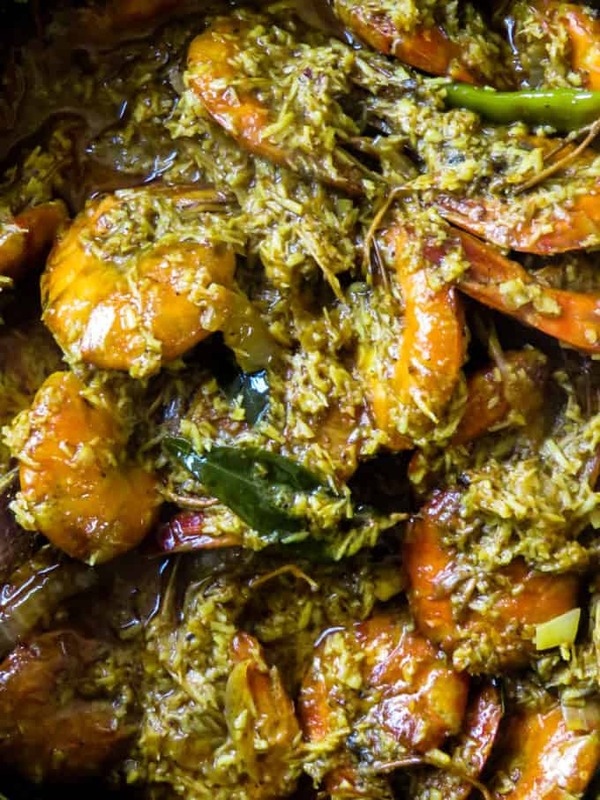 Have you ever had a Sri Lankan shrimp curry where you add a few spoons of pol sambol because you can’t resist this combo? And then you either add some rice or use a slice of crusty bread to soak the gravy to finish it off? Well, this shrimp(prawn)curry gives you a chance to use both these combinations in a one-pot seafood curry. 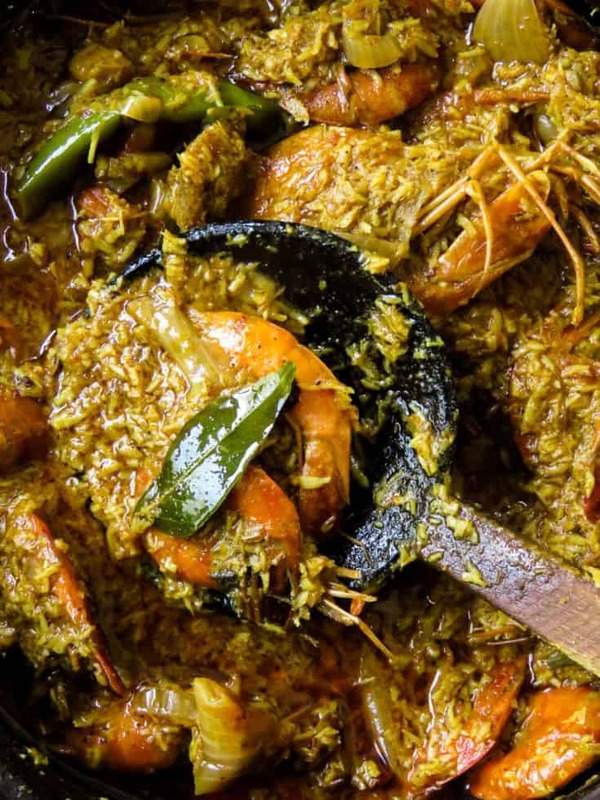 But if you expect the same flavors of mixing prawns and pol sambol then you are in for a surprise because this shrimp curry is much more than two ingredients coming together. 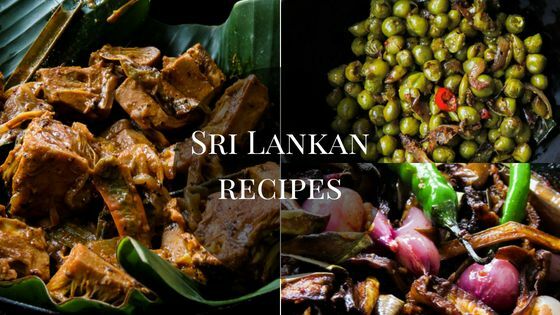 It’s a lot of Sri Lankan spices, a slow-simmered gravy that makes a difference. I’m using grated(scraped) coconut to give the shrimp curry added texture and taste. mind you, these are not coconut chips. You’ll be doing a bit of slow roasting with the scraped coconut and spices to add more flavor. Can I scrape my own coconut? Cooking with either coconut milk or scraped coconut is a part of Sri Lankan cooking so we have the option of either scraping our own coconut or buy bags of frozen or freshly scraped coconut which are now available in some shops. But you can scrape your own coconut if you have a coconut scraper. What tool can I use to scrape coconut? So if you do use scraped coconut or even coconut milk, the question is choosing the right coconut scraper. If you are going to buy a coconut scraper then you should be aware that there are some good ones and quite a few bad ones out there. You have to choose what suits your lifestyle. Whether you want a handheld version or a scraper that can be fixed to your table is up to you but choosing one that serves the purpose without the hassle, is one of the things you should keep in mind while you make your choice. Choosing the right coconut scraper. Let me help you choose the best coconut scraper by writing a few tips on how to choose one that suits your apartment or home. Choosing a coconut scraper in Sri Lanka is not an issue because although we do get an electrical coconut scraper(which is bulky and expensive), the common variety which takes the form of a stool with a scraper, are available in most places and they are quite inexpensive. But if you are living elsewhere then you need to be aware of the types of coconut scraper available and make the best choice. 1/ you have the manual, fixed to a tabletop coconut scraper. 2/you have the electric coconut scraper. One to hold the coconut, the other to either maneuver the coconut, hold or move the handle of the scraper to rotate the blade. So think about a firm base or table top where you can fix the coconut scraper which won’t be a nuisance to anyone and easy to clean. When you are scraping the coconut the coconut scraper should hold firm, it should not shake or come off the base attached to the table. Anything that looks flimsy, like a whisk or has a rubber suctions on the bottom is not going to serve your purpose. Oh, here’s a heads up, it’s a lot of hard work and if you are scraping coconut for the first time, there’s a possibility you might end up scraping your palm so start slow until you have a handle on things. Is this shrimp/prawn curry spicy? Hardly, my kids were able to enjoy without complaining that it was spicy. I think the scraped coconut in the curry absorbs most of the spiciness. But if you find yourself in my situation(a husband who’s able to a level spicy food that leaves you speechless)then do what I do, just keep some raw green chillies for him/her to munch on. But having made this dish for my family first, I know the kids are going to love it. You will need a large pan to cook the prawns and a few bowls to hold them as you wash and marinate them. Can I cook the prawns shell-off? The short answer would be yes, but make sure you have the coconut based gravy in the right consistency before you add them. Before you add the shrimp make sure the gravy thick before adding the prawns(without the shell)as they only need 15-20 minutes of cooking time. Beginner’s tips for the shrimp curry. 1/Have all the ingredients ready before you begin cooking. 2/I would suggest washing, cleaning, removing the heads and deveining of the prawns be done an hour earlier unless you are only cooking a small number of prawns(250g-500g). Let me be honest with you, one of the most tedious and tiring processes FOR ME when making any kind of prawn dish is deveining and cleaning the prawns because I usually have to do this for a large number of prawns. This can be tiring so what I do is tackle the cleaning one or two hours before cooking the prawns. This allows me time to really concentrate on flavors and spices so I wouldn’t be in a rush to cook a meal but rather enjoy creating the dish. 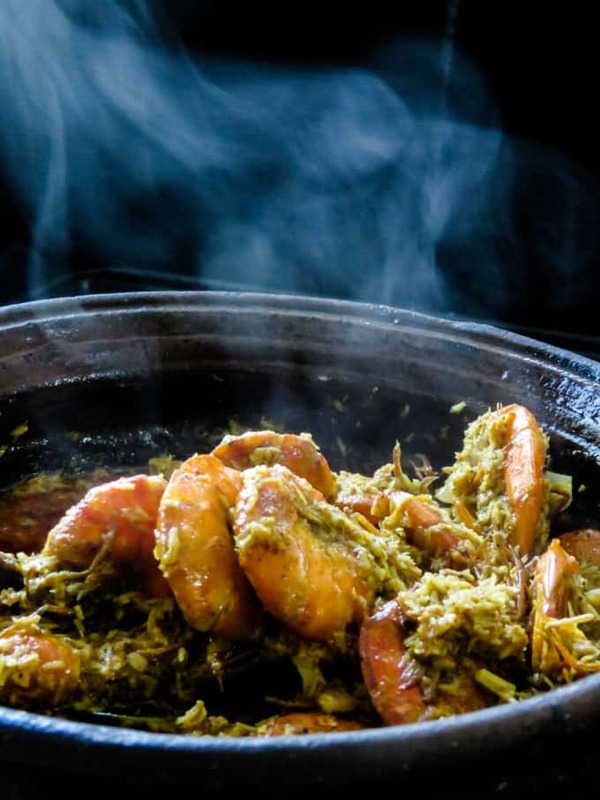 2/ Spend a good amount of time creating the coconut-gravy, make sure you taste and have all flavors in the curry as it should be, then add the prawns, keep in mind the prawns cook fast so once you add the prawns be there to remove the pan as soon as the color of the prawns change and turn firm. 3/Keep the fire low-medium, do not rush the cooking process. 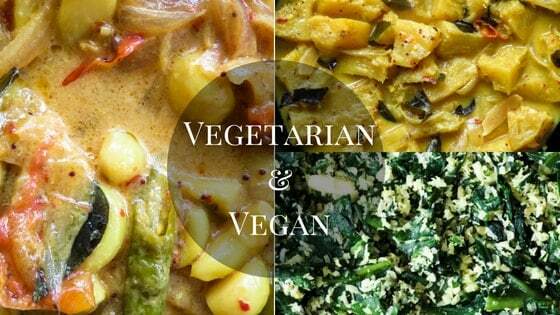 4/Follow the recipe but be prepared to add a little more of the spices to suit your taste buds. 5/There’s an easy way to devein the prawn, just insert a toothpick point between the shell gaps(closer to the shrimp tail or middle)and pull out the vein. If you are unable to find freshly grated coconut then yes but fresh, scraped coconut is always the best. Yes, please refer to notes above where I explain how to cook prawns with the shell-off. 1/2 a teaspoon of tamarind paste(if you are using the ones with the seeds, soak the 1 tablespoon of tamarind in 1/4 of a cup of water for 3-5 minutes, remove seeds and use this liquid. 700g of cleaned, deveined prawns(see notes if you are using frozen prawns or you decide to cook the prawns without the skin). Clean, remove heads, devein the prawns, drain and place them, season with salt and set aside. 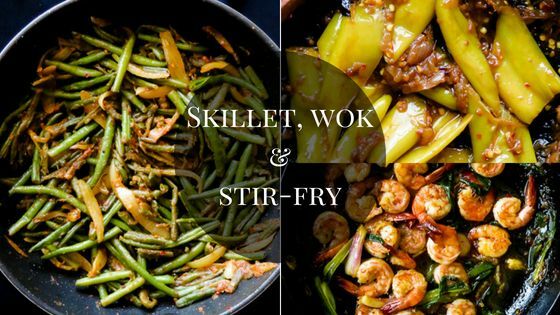 Place a pan over medium heat and pour in the oil, leave it to heat for a few seconds and add curry leaves, ginger, garlic paste, cinnamon and sauté the ingredients for 20-30 seconds. Add the green chillies, onions, tomato and cook for 3-4 minutes over reduced heat. Add turmeric, chilli, pepper, coriander, Jaffna curry powder(optional), continue cooking over low heat while making the paste for the prawn curry (3-4 minutes). Add the tamarind paste and then the grated coconut, combine all ingredients while seasoning with salt. Cook for a few minutes, until the grated coconut turns dark in color, continue cooking over low heat to avoid the spice paste or coconut burning (5-7 minutes). Pour in the coconut milk and let the gravy cook, thicken and change color (8-10 minutes). Once the gravy is in its correct consistency, drain the prawns of any excess water and add them to the gravy, cover and slow simmer for 10-15 minutes. Just until prawns are cooked through, season with salt if necessary. If you are using frozen prawns or prawns with their shell removed then reduce the cooking time to under 10 minutes. SRI LANKAN COCONUT-SHRIMP CURRY- DELICIOUS, TENDER PRAWNS/SHRIMP COOKED TO PERFECTION IN SRI LANKAN SPICES AND GRATED COCONUT TO GIVE EXTRA FLAVOR. 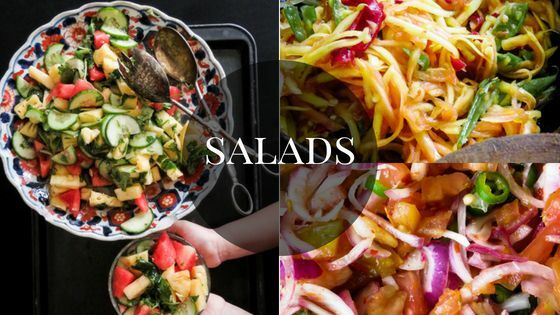 IT’S AN EXAMPLE OF SIMPLE INGREDIENTS COMING TOGETHER TO MAKE YOUR TASTE BUDS TINGLE.